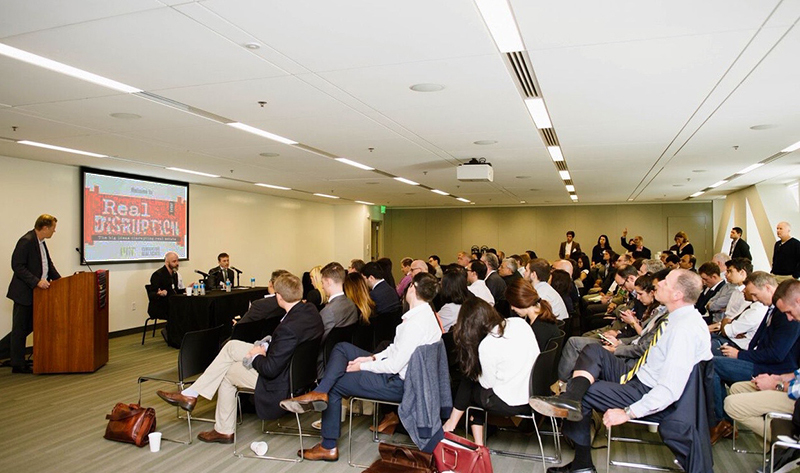 BOSTON — The MIT Center for Real Estate resumed its cutting-edge “Real Disruption” series last week with an examination of blockchain technology and its applications to the real estate industry, specifically the impact it will have on the current title recording system. 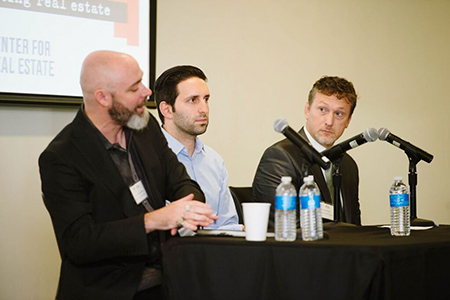 And while panelists were careful to point out the technology is still in its genesis, they left little doubt the inevitable adoption of blockchain is going to have a profound impact on not only CRE but the way the world conducts business. For those unfamiliar with blockchain (or its potential CRE applications), Jason Roy, former CTO of the Urban Land Institute, predicts that “blockchain will enable every property, everywhere, to have a corresponding digital address that contains occupancy, finance, legal, building performance, and physical attributes that convey perpetually and maintains all historical transactions. Additionally, the data will be immediately available online and correlatable across all properties (and) the speed to transact will be shortened from days/weeks/months to minutes or seconds.” Spielman set the stage for the discussion by delivering a high-level overview of how blockchain technology works, followed by a brief overview of the current state of the title recording system in the U.S. and other common law countries. Blockchain is essentially a ledger for managing recorded transactions, he explained, but what makes it such a transformative innovation is that the ledger is “distributed,” which means that every computer connected to the network has a complete or partial copy of that ledger. That universal access allows blockchain to create consensus mechanisms to govern the transaction verification process for the ledgers. “Ultimately, it will be argued that a blockchain title recording system is the future of title record keeping, and will provide immediate benefits over the current title recording system – just not right now,” asserts Spielman, who advocates a gradual implementation of the new system and also cautioned that the new technology is not a panacea for the present system. “It’s more of a database, a way of verifying and organizing and keeping real estate property information, so it’s only as good as the information that goes into the system. It’s not a dispute resolution or authentication system,” he clarifies. entities maintaining databases that can be in conflict, often leaving no clear title to a property. “What blockchain brings that is transformative is the ability to centralize a lot of that information,” he relays. “While blockchain is a decentralized concept –meaning that the data does not reside in any one place – what we have is an entire network of computers that can agree on what that data is.” So if and when the technology is adopted, public records (now stored on a county to county basis in the U.S.) would be transferred to the blockchain database, creating a public registry that would be readily accessible by anyone. that the title insurance companies will have the most to lose – as well as the most to gain. In theory, he says, the concept of title search would be replaced, because there would now be a database that was accessible to all. But he also acknowledges that the “title insurance companies aren’t going anywhere anytime soon,” given that they currently maintain and share their own title databases. So they also have the potential to harness the new technology early and offer their services – at a reduced cost – to the creation of the blockchain. points” that blockchain could improve and “utterly transform the way that it’s been done over the next 20 to 30 years,’ citing the aforementioned changes in titling; the use of smart contracts (computer protocols that facilitate, verify, or enforce the performance of a contract,); unlocking liquidity in real estate assets (including leases); more effective crowdsourcing, and innovative “user ship” models that will allow for a freer exchange of value. Doney’s firm, Securrency, is a FinTech platform that monetizes excess capacity in assets such as commercial real estate leases. “What we have in commercial real estate right now is very illiquid major deals, where you can’t break apart, for example, the individual income streams associated with commercial leases and monetize those income streams,” he states. But through the use of smart contracts, leases can be risk-scored, securitized, and then sold into liquid markets – something that his firm is pioneering.